The Huntley High School bass fishing team reeled in its best-ever season in 2016, taking 3rd at the recent state finals in the Illinois High School Association Unified division and 15th in the non-unified division. The Unified division was created in partnership with Special Olympics Illinois to provide greater opportunity for anglers with special needs to compete with other athletes their age. The non-unified team also set school records for the biggest bass caught at state and sectionals, as well as the biggest five-fish total for the south Chain of Lakes sectional. The first Unified bass fishing state finals competition was held two seasons ago. 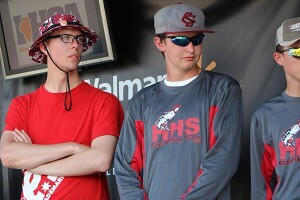 Huntley was represented then by two anglers, Andrew Holinbeck and Ethan Nawrocki. This year, three Unified boats caught fish, including Huntley. The Unified Bass Team included the following anglers: Nawrocki, Kaleb Hill, Connor Siddons, and Connor Hewitt. 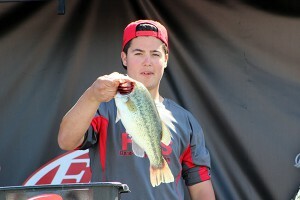 In addition, Nick Dennis caught the second largest bass of the tournament, weighing 4 pounds, 9 ounces. Congratulations to the team on a great season!